Nicola read French and Italian at Christ's (1999) and has a PhD in Medieval French and Italian from Corpus Christi College. After working at the Development Offices of Pembroke and Robinson, she joined Fitzwilliam College as Development Director in August 2016. - with queries about giving to Fitzwilliam College or about any of our specific Funds. - for information about setting up a legacy in favour of the College. After working as a professional chef for 15 years, Donna began her career in development in 2012 at Downing College, first in events and alumni relations and then as a fundraiser. She joined the Development Team at Fitzwilliam in September 2017. - with queries about giving to Fitzwilliam College or to discuss setting up a legacy. - to discuss giving to the College through charitable trusts or foundations. Carol has been with Fitzwilliam since November 2001. Carol is also responsible for gifts administration. Please contact her if you have any questions about making a gift to Fitzwilliam. 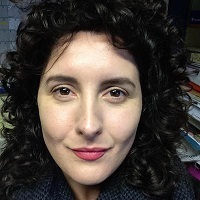 After finishing a PhD in Italian literature at Fitzwilliam College, Millie joined the Development Team in September 2018. She is responsible for the annual Telephone Campaign, and helps coordinate the Fitzwilliam Society Careers Fair. She also works to maintain relationships with young alumni in their first years after graduation, and donors. - to find out about ways of staying in contact with the College. - regarding the Telephone Campaign Annual Fund. - in connection with the Fitzwilliam Society Careers Fair.